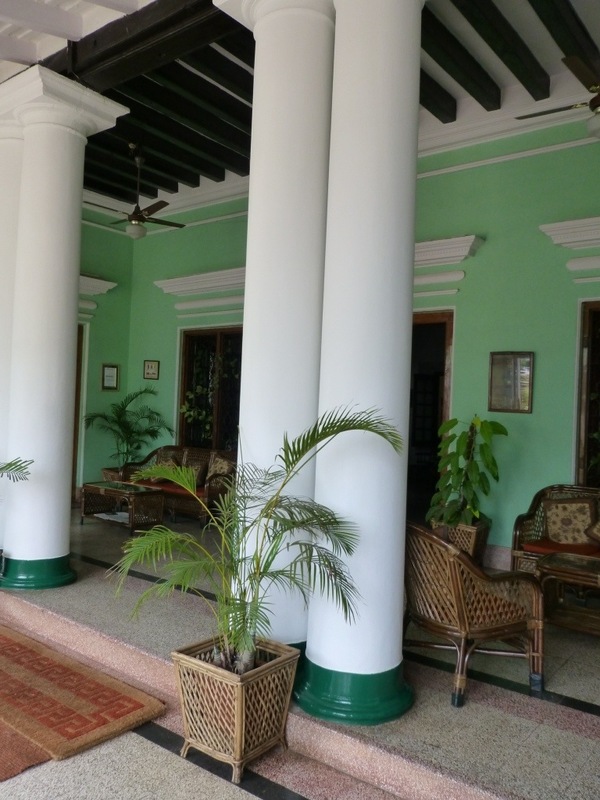 The Green Hotel is a charming, old converted palace located five kilometres from the heart of Mysore. From the moment you enter it’s breathtaking grounds you know there is something special about this hotel. It is an Eco hotel that has adopted many energy saving and environmentally aware practices which is to be greatly commended. It’s extensive garden is truly glorious and everything is out in flower. 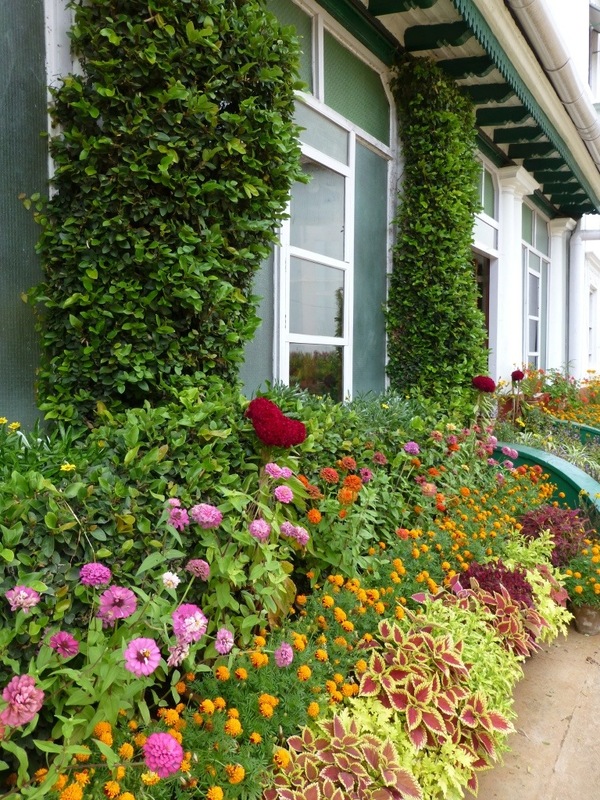 This garden won a first prize at the Mysore Flower Show for its outstanding potted plant display. 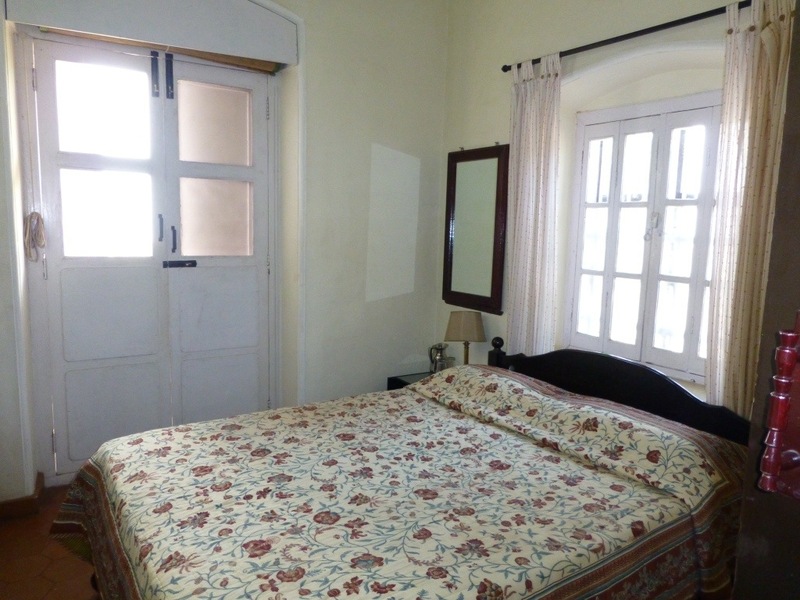 starting at 3,450 rupees it is very reasonably priced too. 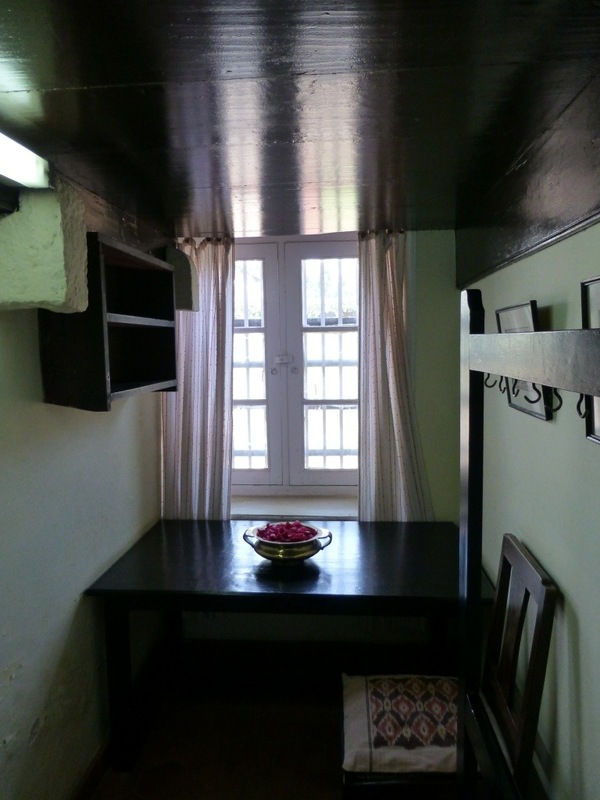 Guests have full use of the whole former palace. 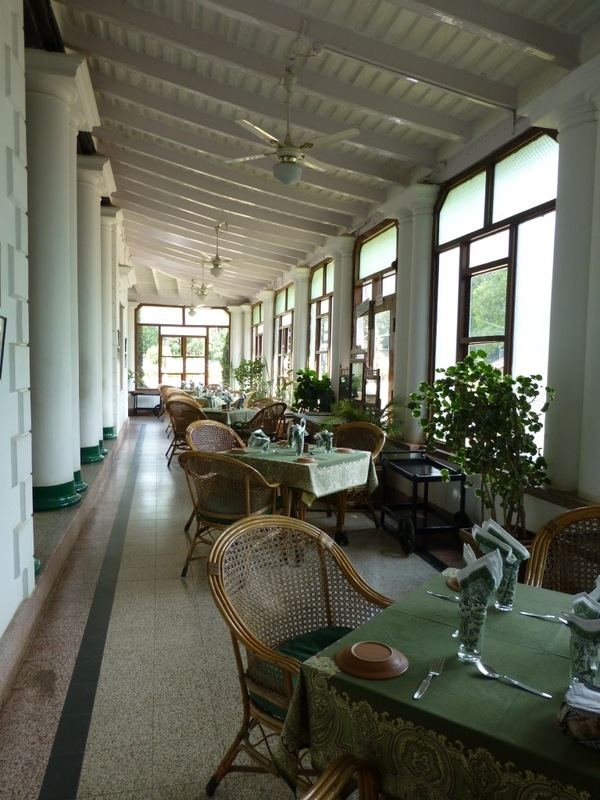 We had lunch on the airy verandah. You can visit their lovely library and fabbo tiny gift shop. 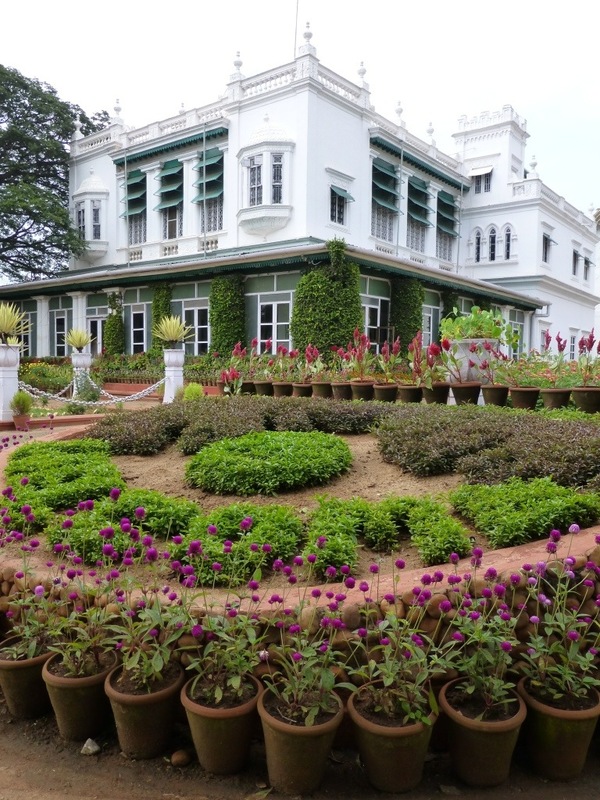 The huge grounds are filled with terracotta potted plants – a visual feast! 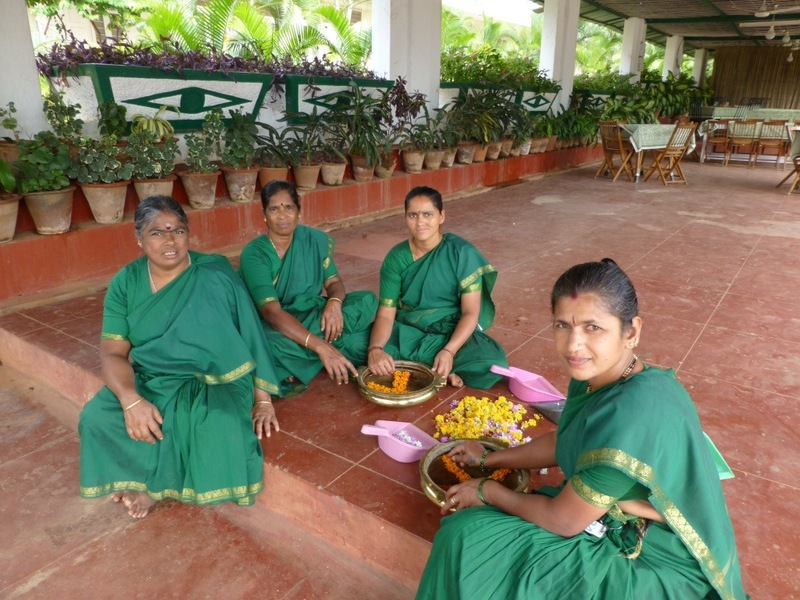 The most outstanding ingredient in the Green Hotel’s success is their friendly and wonderful staff. Everywhere we went staff said hello and the whole place has an amazing positive vibe. 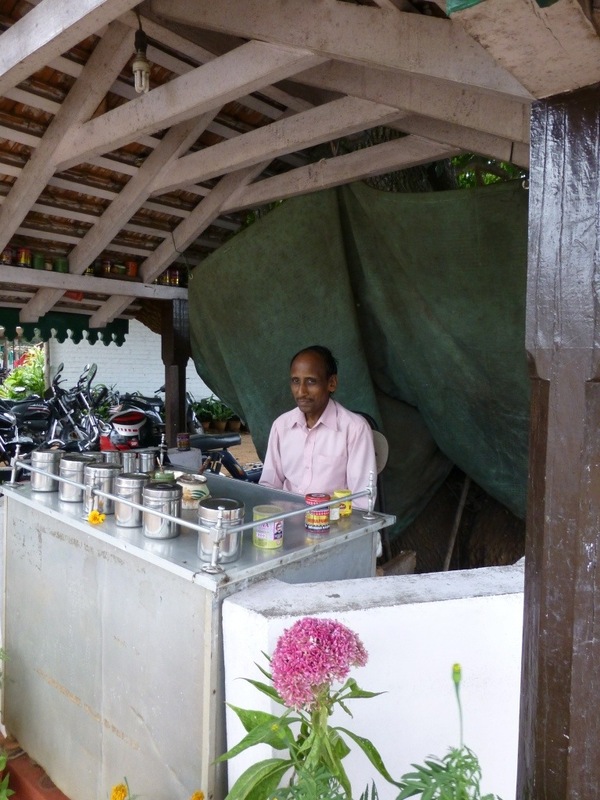 This is due to the hotels fair and equal opportunity employment scheme. It is very evident that staff are valued and happy. The Hotel has a fantastic coffee shop with organic cakes. Padma and I dined at their restaurant last night and the malai kofta and butter naan were mouth watering! All profits that are made here at the Green Hotel are distributed to local charitable and environmental projects. It is lovely to think that your money will help others.